Two years after the brutal murder of Berta Cáceres, one of the most important leaders for indigenous peoples’ rights, the environment and human rights in Honduras, her words and actions continue to inspire resistance both in Honduras and worldwide. The murder has failed its mission – to silence her voice and struggle. 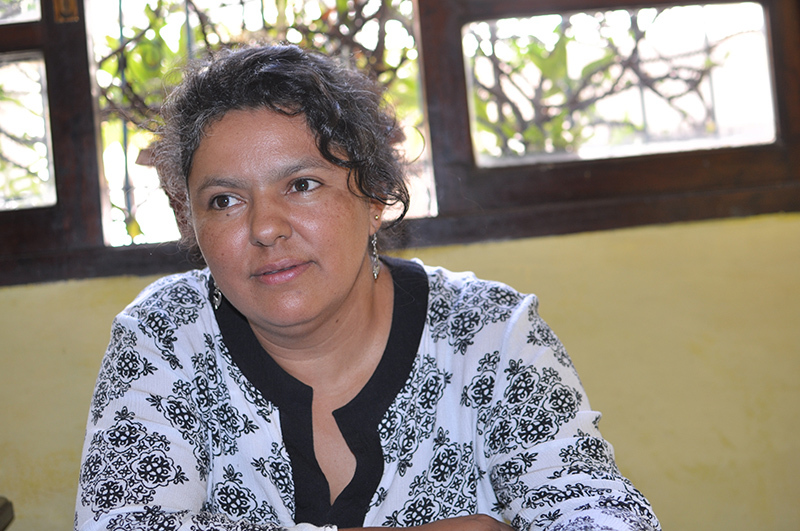 As the founder and coordinator of the Civic Council of Popular and Indigenous Organizations in Honduras (Copinh), one of We Effect’s partners in the country, Berta Cáceres came to lead several significant battles. The most important of them – the defense of the indigenous Lenca peoples’ rights and territories. During her last months in life, Berta Cáceres suffered strong persecution. Her fight against the hydropower project of Agua Zarca, which threatens the life of the Lenca peoples, was not appreciated by all. Berta challenged the country’s economic and political powers. 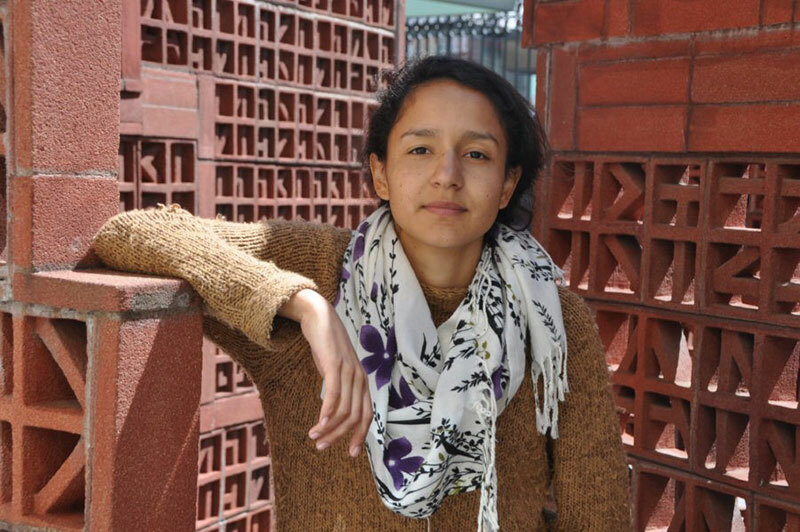 – My mother was persecuted and accused of being a criminal, and the harassments got worse, says Berta Cáceres’ daughter Bertha Zúñiga – who despite the murder decided to follow her mother’s footsteps and battle. Today she is the coordinator of Copinh. For Copinh, the threats were nothing new. In a violent country like Honduras, fighting for the environment and indigenous peoples’ rights is a high-risk occupation. According to Global Witness, Honduras is the deadliest country in the world for environmental activists. Since 2010, more than 120 people have died for standing up to companies that grab land and trash the environment. – My mother was always aware of what could happen to her. She was not the only one who was threatened or attacked. Over the years we have lost several members in the movement. But the attacks failed to stop and silence Berta. Instead, they contributed to making Berta, and her struggle, a recognized force outside of the Honduran borders. In 2015, Berta Cáceres was awarded the prestigious Goldman Environmental Prize, sometimes called the Green Nobel Prize. – Her involvement in the struggle was important. But she always said that the fight is for all, it’s a collective struggle. She cultivated that idea in the communities Copinh works with. And that they must continue fighting, no matter what happens. The two years since Berta’s murder have been overwhelming for Copinh. Rebuilding the organization and its leadership has been challenging. The case of Berta Cáceres led to a lot of sorrow and powerlessness both within the organization and the communities in which Copinh works. –We are working in a context where there are no guarantees for life, and where impunity ensures that these crimes continue to happen, Bertha continues. Eight men have been arrested and charged with the brutal crime. By mid-2018 the trial against them will be held. Bertha Zúñiga and her colleagues from Copinh will be there. – The public prosecutor wants to end the case with the trial. But we know that there are more players who have not been investigated and will not be held accountable. Those who ordered and planned the murder, and the criminal structure behind all of this, must be made visible. It is only when those who are responsible for this type of crimes are judged, that we can guarantee they will not be repeated. And although the legal process has left much to be desired, Bertha, Copinh and the communities that defend their territory still feel hopeful. Berta Cáceres left a powerful legacy. Her story has been heard all over the world and her murder has directed the international community’s gaze on the dark situation of human rights defenders in Honduras. The widespread impunity surrounding crimes against activists and human rights defenders and the illegality of the country’s extraction projects has led to an international solidarity movement. – The international support we’ve received has been fundamental. It has started to shake the ground underneath the oligarchs and the political and economic elites. We say that if they devote so much effort to discredit us, it means that our struggle is affecting them. The support has also made many of the affected communities empowered to continue the struggle. Our commitment is strong. Berta Cáceres has become a symbol of resistance and the fight for human rights. She is an inspiration for activists around the globe and her face can still be seen in demonstrations worldwide. – In the future, we hope that these crimes will not be repeated. No organization should experience such a terrible crime. But Berta lives, she is present in all spaces. It gives us joy, hope and courage to continue. And though we know it will not be an easy fight, we will achieve justice, says Bertha Zúñiga. The indigenous leader and environmental activist Berta Cáceres was the head of the Civic Council of Popular and Indigenous Organizations in Honduras (Copinh), one of We Effect’s partner organizations in the country. Copinh has been a strong voice in the defense of indigenous peoples’ rights, especially the right to land and natural resources. Berta was murdered in her home in La Esperanza, Honduras, on March 2nd 2016. Prior to the murder, Berta and Copinh had strongly criticized the hydropower project of Agua Zarca, which, at that moment, was co-financed by the Finnish Development Fund (Finnfund) and the Netherlands Development Finance Institution (FMO). In July 2017 Finnfund and FMO concluded their cooperation with Desarrollos Energéticos (DESA), the Honduran company that runs the project. On October 31st 2017, a report was presented by El Grupo Asesor Internacional de Personas Expertas (GAIPE), which consisted of five independent specialists in international human rights law, international criminal law and comparative criminal law. The report is based on an independent review of facts and evidence in the case, and shows that managers and security staff at DESA, as well as government officials and security personnel, have been involved in the planning and execution of the murder. According to the report, the murder took place in the context of a wider strategy aimed at controlling, neutralizing and eliminating obstacles to the development of the project of Agua Zarca.